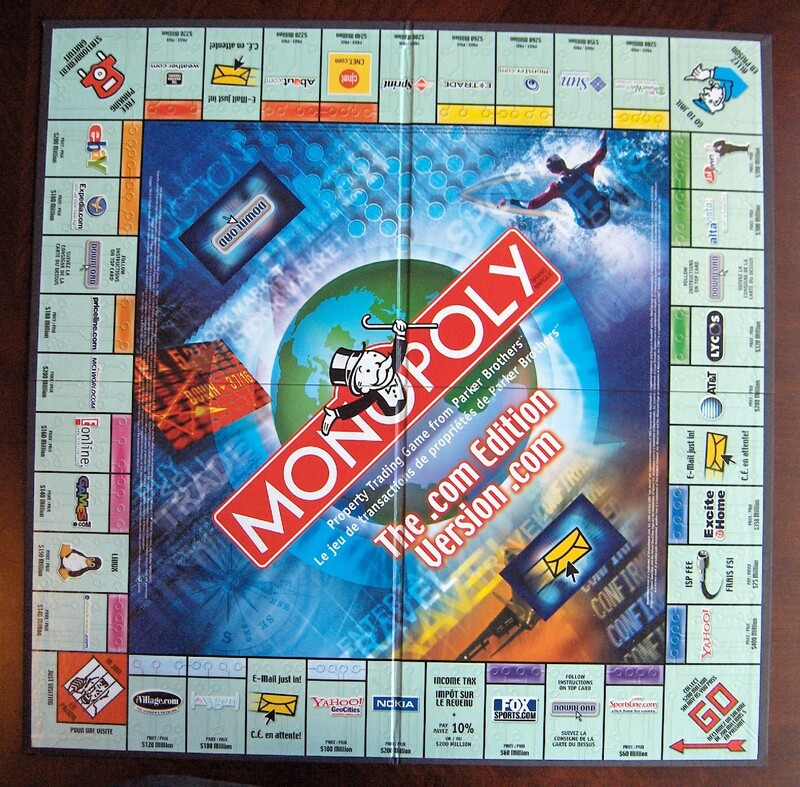 In 2000, Parker Bros released a dot-com version of Monopoly, featuring winning companies such as Lycos, AltaVista, [email protected], and Ask Jeeves. 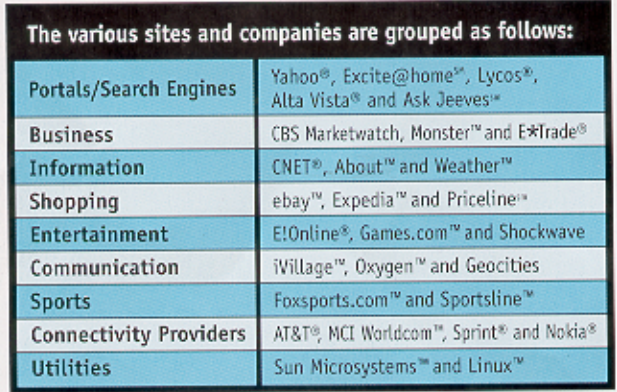 The Railroads were AT&T, MCI Worldcom, Sprint, and Nokia. 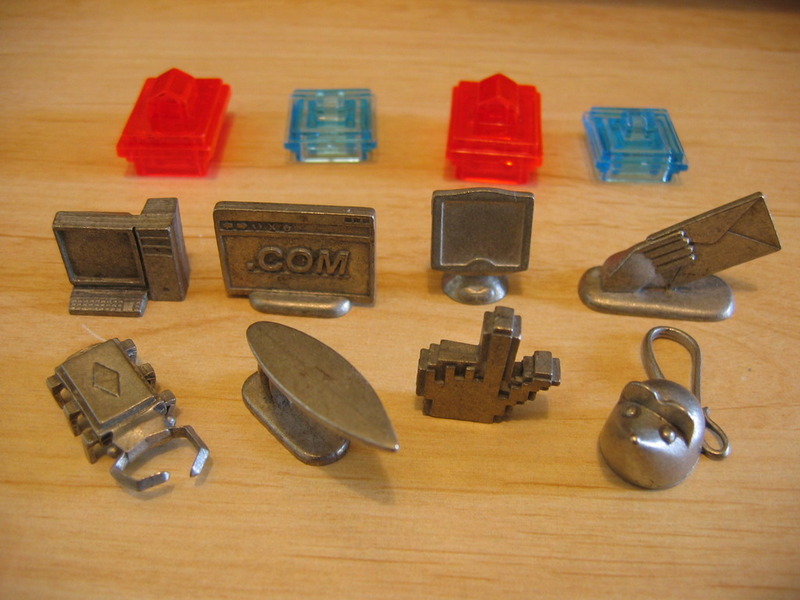 In 2000, the pewter game pieces represented the tools we used to access the internet, because the money was coming from home day traders inflating the market cap of .com IPOs. Today the new avatars would be Google, Facebook, Yahoo, and other acqui-hirers. A computer tower with CRT monitor, a web browser, an iMac, a hand holding an email, a rodent, a pointer icon, a surfboard, and… I guess that’s supposed to be a bug that looks like a dip chip.